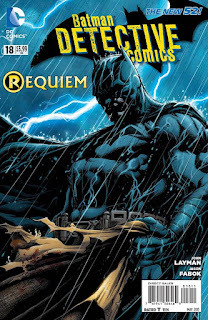 This week for the Comic book Week in Review we did reviews for some of the books we covered on Comicast #71 and a few we didn’t. 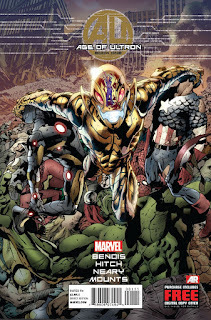 This book takes place in a dystopian future much like that of Age of Apocalypse. The art of Brian Hitch is absolutely stunning. I can honestly say that I was completely awestruck by his detailed, gritty, gorgeous, lively, and cinematic art style. This is exactly how you do a number one event book right. Get the best writer and artist you have in the business together and they make magic. Hawkeye shows up in a destroyed, rubble-scattered neighborhood, taking people out like you have never seen before. They make it very apparent that this is Hawkeye like you’ve never seen him, deathly lethal. He’s there to save a friendly neighborhood guy from a couple of famous New York City gangsters. Things get real sketchy, shaky, and rough there for a minute. It was a hell of a thing to see Hawkeye, a non-powered hero, take charge of the situation and this issue. Things appeared to be the worst they’ve ever been for all of the heroes. The final page was devastating, terrifying, and depressing. If you can only pick up one comic this week this is the one to get. 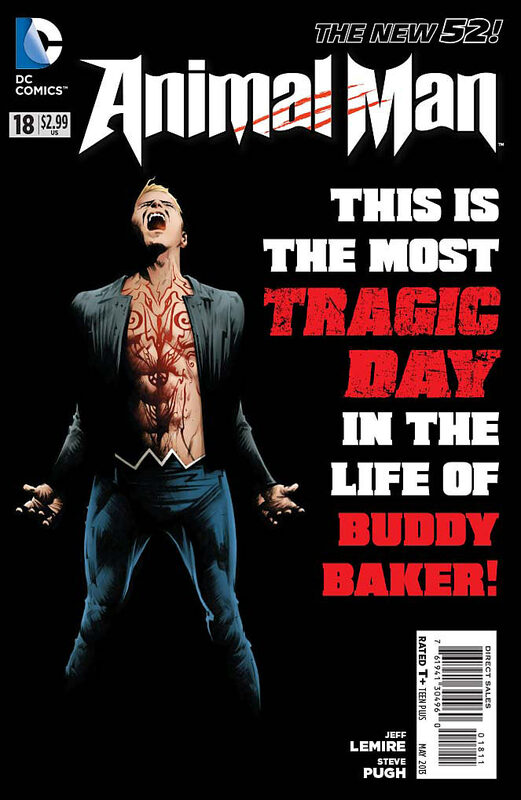 In this issue we have Angel and Warren teaming up and having a conversation which eventually leads to Warren having a breakdown. The part where Angel and Warren join up to stop the Hydra from attacking avengers tower was a great way to show how different the future and past incarnations of Angel are through both art and dialogue, which was genius. I love how great BMB can be at writing both the funny, comical stuff as well as the emotional, serious things. Capt. America finds out about Hanks “doings" which makes for really a funny scene with Iceman and Kitty Pride narrating what Cap and Beast may be saying. With the situation that seems like there’s no easy or fast resolution is made fast and easy by a young Cyclops. In the end Jean Grey decides that she's taking control of the situation by leading the team to deal with the problem at hand. Paco Medina improves with each issue and this one is no exception as his art is becoming even more clear, sharp, concise, and consistent. 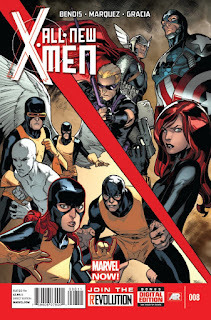 It may be going a little slow but I'll be damned if its still not the best new x-book of Marvel NOW!. As clean, clear, and vivid the art is it does have its issues. The biggest issue being that some of the expressions seem off from what the dialogue is trying to say. If an artist and writer are not on the same page or panel in this case it just doesn't work. Seeing Tony Stark in gladiator gear was pretty awesome looking. I won’t deny that Greg Land knock it out of the park on that panel. 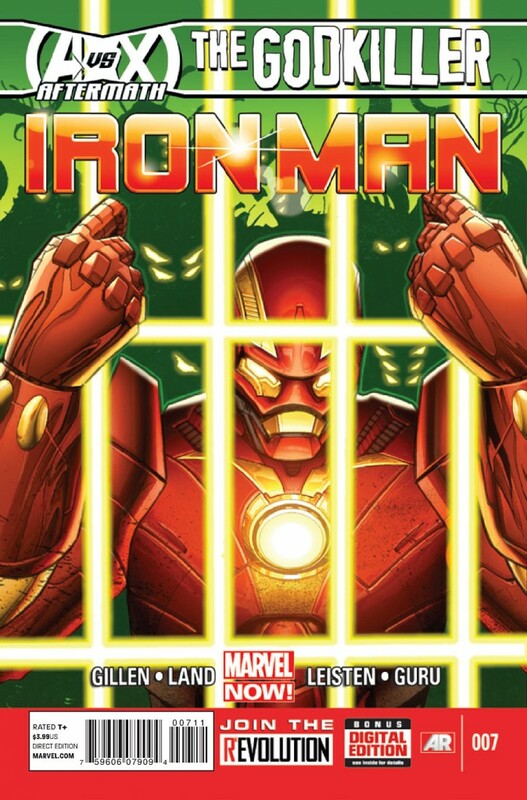 A sentient robot helps Stark stall by fighting his death penalties through combat. Its nice to see how well Tony handles himself in a real fight without his armor. 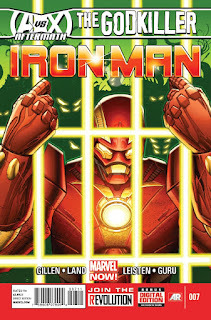 The story is getting a little better and more interesting with this issue but its still not the same level of quality that we had become accustomed to with Matt Fraction’s intense and focused run on Invincible Iron Man. Once this creative team becomes in sync and focused in the direction they're going this book will be one of the best but until then it will only good not great. Lemire & Pugh did a phenomenal job on the travel back through the rot. It was awesome, scary, beautiful, dark, cool, and creepy. Buddy Baker arrives in a race against time to saves his family thinking about a certain family member in particular that this both foreshadowing and foreboding. He shows up right before Little Wing gives herself over to the two rotted warriors. The true savior ends up being the actual avatar of the red. Don't be fooled though as that's not the only hero. This is isn't a happy ending so if that's what you wanted or expected ten you will be disappointed. The writing has been superb and the art in this has been brilliant. 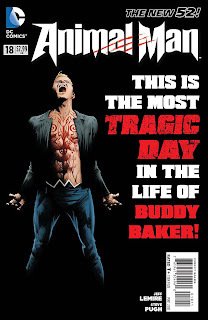 Another depressing day in the life of Walter Kovacs, the final issue of this title, and the conclusion to this story. 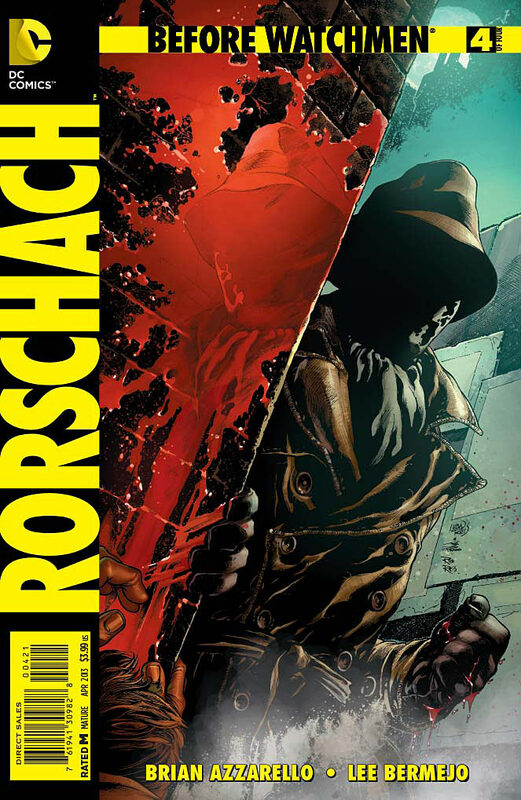 It starts with Rorschach getting beat down and continues to get worse as the issue goes on. The glimmer of hope of a normal life with a woman is completely diminished which is somewhat his fault since he chose to ditch his date and go be a vigilante instead. In the end all we see is that Rorschach is right about people. 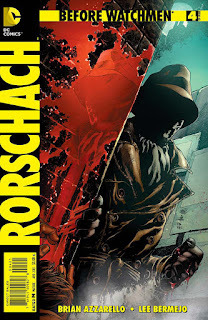 I came to a lot of depressing realizations while reading this: Rorschach is a necessary evil, he's the lesser of two evils, Walter Kovacs will never have a normal happy life, and people are inherently bad. 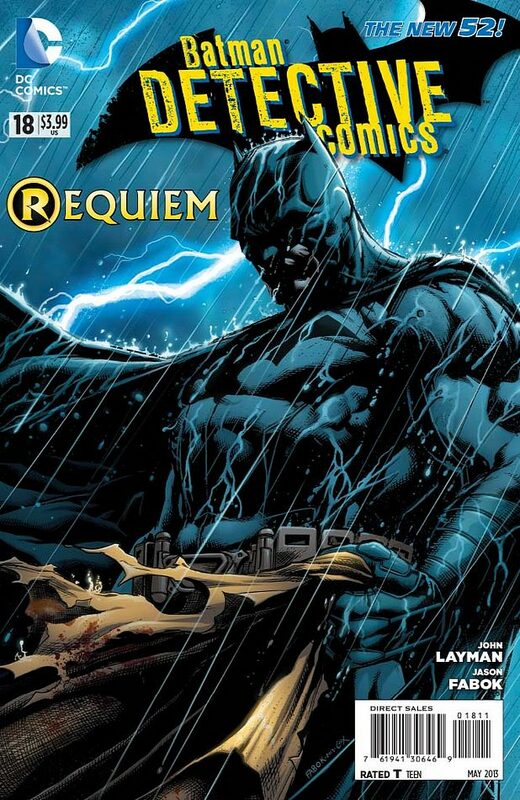 It's been a while since I've read a comic book series that is this deep. On the surface it's a gorgeous and brutal spectacle full of violence and vigilante "justice" but that's just one layer. Is this book bad because its depressing, no, quite the contrary because it makes you feel and when a book can move you emotionally that's a special thing. The art is a little gritty and a little flashy as well and it works. I haven't been reading this title much so I was a little confused at first. Despite that minor indiscretion I was sucked in pretty quickly. The art was impressive and Batman was at somewhat of an impasse with Mr. Cobblepot. The story flowed well as the focus instantly switches to Zsasz. There's mention of Death of The Family and Damian's supposed death. Things turn south for Penguin completely unrelated to Batman but not for long as where there's smoke there's fire and you can always depend on Batman to put out the "fire" in Gotham. There's also a side story about Zsasz involvement in all of this and his origin with art by Henrik Jonsson and Sandu Florea. The art style isn't much different from the main story so it's an easy, smooth transition. 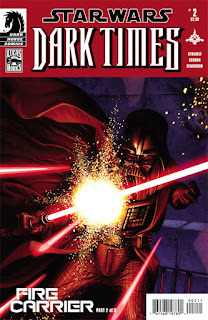 Overall it was a pretty solid and enjoyable issue. 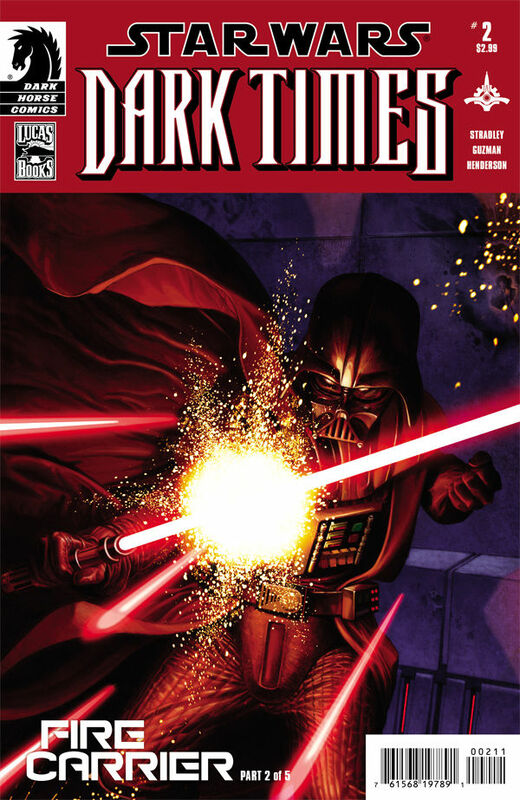 Starts off with Vader beating some guy with the force. 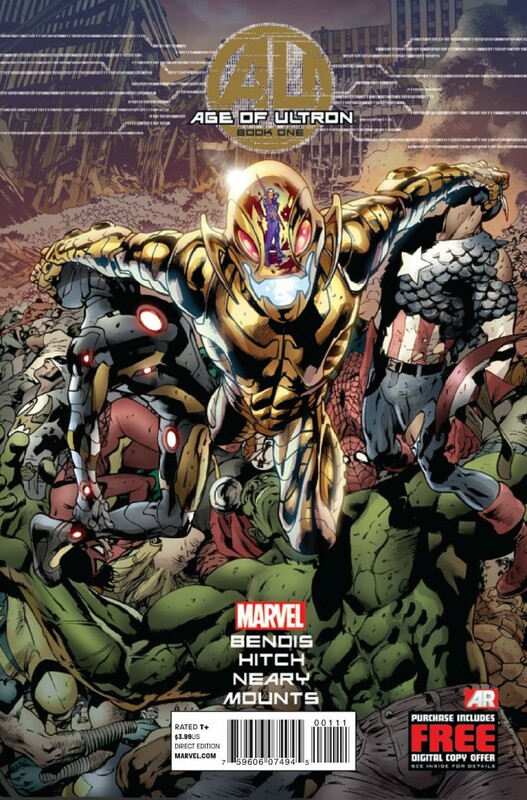 I can't help feeling like the art doesn't look quite as good as the last issue. This issue was rather uneventful and boring. Where there could have been more conflict and tension there wasn't. The Jedi find out what happens to all the refugees in the least exciting way possible. It seems that Darth Vader is trying to train a new apprentice or something. Story was weak, art was missing something, maybe this would be better in trade.